If you are looking for information on the Coltrin Central Vacuum Systems franchise business opportunity, Coltrin Central Vacuum System franchises or Coltrin Central Vacuum Systems franchising, then you have come to the right place. A new level of professionalism comes to the central vacuum industry. For years, the central vacuum industry lacked efficiency and effectiveness. That is, until Coltrin Central Vacuum Systems came on the scene in 1995. What sets Coltrin apart? We invested time, money and frustration figuring out how to be successful. The result? Coltrin Central Vacuum perfected a business formula that earned respect and allowed us to become the number one dealer in the nation every year since 2004. We did it by demonstrating the kind of professionalism that is expected from top performers - streamlined operational procedures, a high level of expertise and a valuable brand of our own. 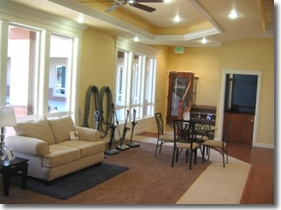 Coltrin Central Vacuum sells, installs, and services central vacuum systems in both new construction and existing homes. Due to the growing trend toward products that improve indoor air quality and quality of life, we are expanding our operation and we invite you to join us as a Coltrin Central Vacuum Systems franchise owner. With our name, excellent reputation and proven business formula, a Coltrin franchise could be the extraordinary business opportunity you're looking for! Coltrin's dynamic business system ... years ahead of the field! As a Coltrin Central Vacuum Systems franchisee, you'll be a step ahead of the pack as you provide unsurpassed sales, installation, and service to new homebuilders, owners of pre-plumbed homes, and existing homeowners looking for a retrofit. You will achieve those goals by employing the established business system we have built over the years. The following mainstays support that business system. You will offer your customers a wide selection of only the finest, powerfully built central vacuum systems and accessories. Coltrin Central Vacuum Systems features Beam Industries products, the largest central vacuum manufacturer in the world. Beam is the industry's top-rated manufacturer by a number of consumer magazines. Coltrin products are backed by a 90-day Money Back Guarantee and the longest warranties in the central vacuum industry. In addition to superior products, you will offer professional, dependable service for all makes and models of central vacuum systems. When other dealers are unresponsive to customer service needs, you'll be the pros to call! We provide support that surpasses your expectations! "Clean Up" with Coltrin Central Vacuum Systems! There is simply no comparison. 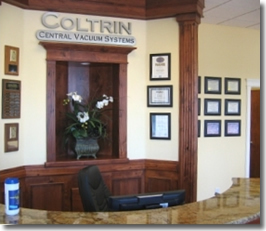 A Coltrin Central Vacuum Systems franchise offers you a distinctive combination of benefits - the fulfillment of owning your own business in the fast-growing central vacuum industry; the satisfaction of providing your customers with outstanding products, installation and service; and the security of being backed by an exceptional franchise company with a first-rate business system. Now is the time to join the Coltrin Central Vacuum Systems franchise family.